During the Crimean War, Roger Fenton took two nearly identical photographs of the Valley of the Shadow of Death-one of a road covered with cannonballs, the other of the same road without cannonballs. Susan Sontag later claimed that Fenton posed the first photograph, prompting Morris to return to Crimea to investigate. Can we recover the truth behind Fenton’s intentions in a photograph taken 150 years ago? In the midst of the Great Depression and one of the worst droughts on record, FDR’s Farm Service Administration sent several photographers, including Arthur Rothstein, Dorothea Lange, and Walker Evans, to document rural poverty. When Rothstein was discovered to have moved the cow skull in his now-iconic photograph, fiscal conservatives-furious over taxpayer money funding an artistic project-claimed the photographs were liberal propaganda. What is the difference between journalistic evidence, fine art, and staged propaganda? 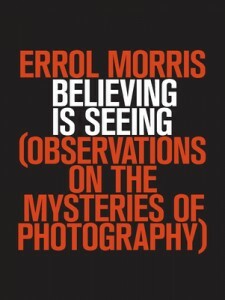 With his keen sense of irony, skepticism, and humor, Morris reveals in these and many other investigations how photographs can obscure as much as they reveal and how what we see is often determined by our beliefs. Part detective story, part philosophical meditation, Believing Is Seeing is a highly original exploration of photography and perception from one of America’s most provocative observers. Errol Morris is a world-renowned filmmaker—the Academy Award-winning director of The Fog of War and the recipient of a MacArthur genius award. His other films include Mr. Death, Fast Cheap & Out of Control, A Brief History of Time, and The Thin Blue Line. 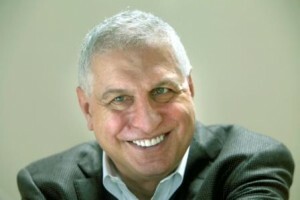 Find out more about Errol Morris at his website, and follow him on Twitter.